Marketing and proper advertising are very important for concession stands, even though many owners do not put enough effort into these areas of the business. Some types of traditional marketing can work with these stands, but it is a good idea to think outside of the box with the approach you take. You will need to think about the best ways to market toward people who pass buy your stand during the day, as well as ways to get more traffic to your booth. Here are some tips to help you through the tricky business of pulling in the customers. Your concession stand might have a regular spot, and you might stay there for weeks, months, or even longer. However, many concessions move regularly. This means that traditional advertising of your location is out of the question. Instead, you will want to focus on marketing to the foot traffic in your area. One of the best ways to advertise is to have a good sign that is large enough to see and clear enough for people to read from a distance. A good and professional sign looks great and will attract customers more readily than a stand that doesn’t have a quality sign. Make sure that your sign menus are easy to read as well. You do not want customers to have to come all the way up to your window to read the menu. When creating your signs, remember that your food is the main draw of your stand, not your name. Make the type of food you offer the biggest part of the sign. This will draw in more customers than a clever name. Flyers in the neighborhood can be another way to attract some more foot traffic, especially if they happen to have a coupon on them. Put your menu right on the flyer so people know what they are getting when they come to your stand. Naturally, you will need to have quality products, a friendly staff, and a clean stand if you want to attract passersby. Yelling out to people passing by the stand in an attempt to get them to come over and buy is not a preferred advertising technique. Customers do not like this any more than they like being accosted in the mall by people hawking cellphone plans. Trying to get attention in this manner is sure to turn off customers who might have bought from you. 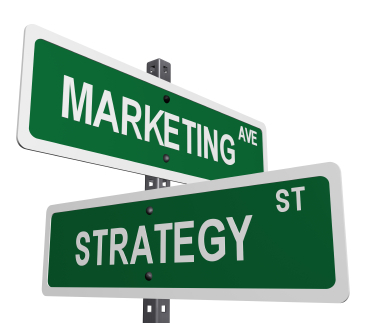 Will you will need to consider “street” marketing, that does not mean that you will have to eschew technology and other types of advertising. One of the best things you can do is set up a blog or website for your concession stand, along with some social media accounts. Connect with your current customers on these sites and your own site. Blog about what’s happening with your stand, where you will be, and what new items you might be adding. Make the social media community a fun place to be. Offer some discounts, give your followers the scoop on new things you are doing, and make them start talking about your stand. When you put in the work, your advertising will go a long way in helping you to become more profitable. Proper marketing for a stand does not have to be difficult at all. Act professional and courteous to your customers and other stand owners in your area. Good signage, a good menu, social media and a great staff can help to get the word out about your concession stand.